Candidates who sat for the November 2017 Zimbabwe Schools Examinations Council (ZIMSEC)’s Ordinary Level English Paper 2 Examination are set to re-write the paper on Friday next week following cheating that took place last year when the examination was administered. 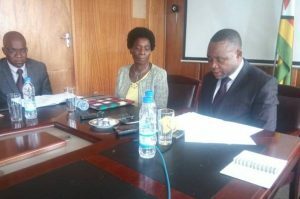 Speaking during a press conference in Harare this afternoon, Primary and Secondary Education Minister Professor Paul Mavima said the ministry regretted the inconvenience caused but the move was worthwhile as it would preserve the integrity of the examinations system. Those who cheated are banned from the exams and parents will not pay additional fees.